Cape Town, South Africa may scare off tourists with perceptions of high crime rates. Sure, there is crime. Sure, South Africa is dangerous. With that said, we did not feel threatened any more than most major cities. Many would agree, this lovely city has been put on the map as a major tourist destination. With great infrastructure and tourism industry to match, there are plenty of activities in Cape Town. 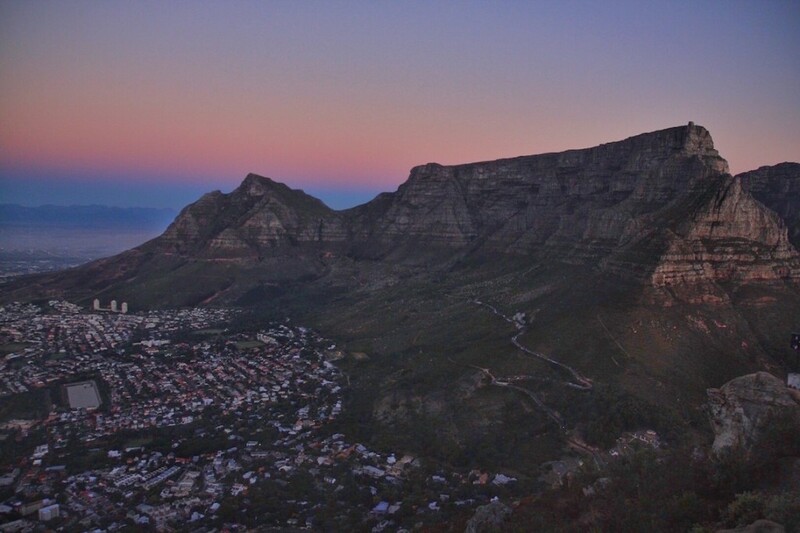 The most recognizable part of Cape Town is the surreal views of Table Mountain looming over the city. 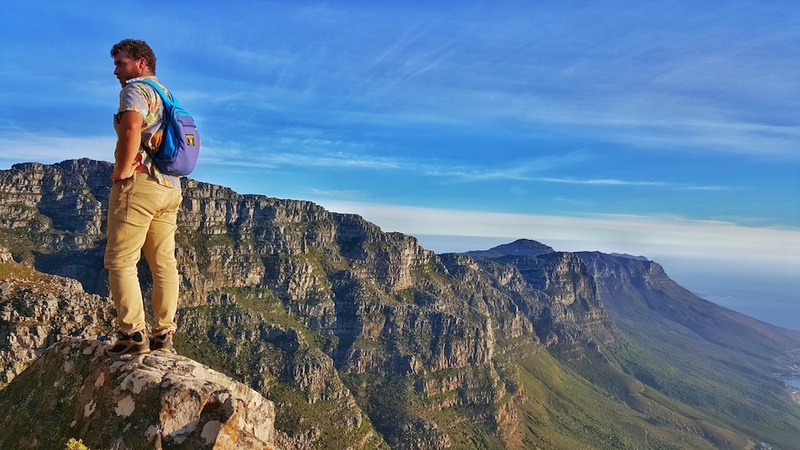 Table Mountain draws many tourists and locals to this iconic landmark for hiking, rock climbing, abseiling, or to soak in the views. While a cable car is available, hiking is the best way to take in the beauty of this mountain. Hiking several routes can offer a different experience. 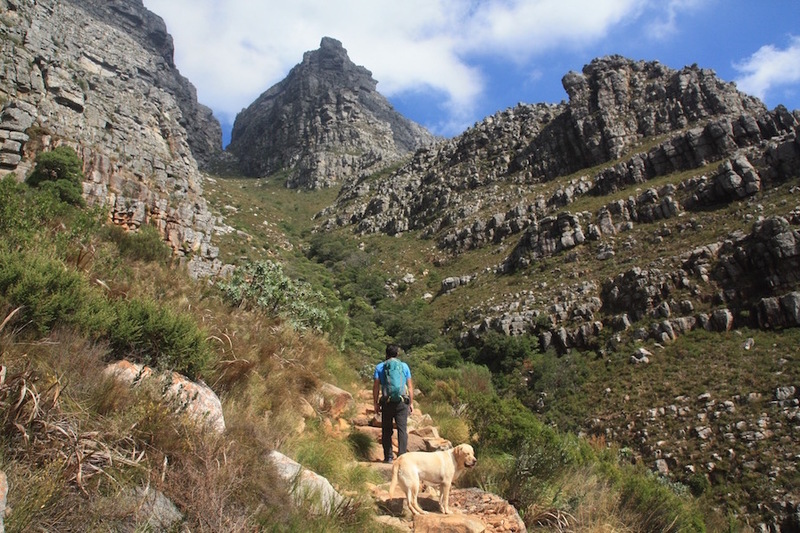 During our three weeks in Cape Town, we hiked several routes. These are our favorite can’t miss hikes. Starting past the cable car, this route is the most direct. It is the steepest way up the mountain, but also the easiest hike up as other routes may need some non-technical climbing. We preferred this trail for our descent. While we personally did not hike this route, this is one of the most popular trails up Table Mountain. 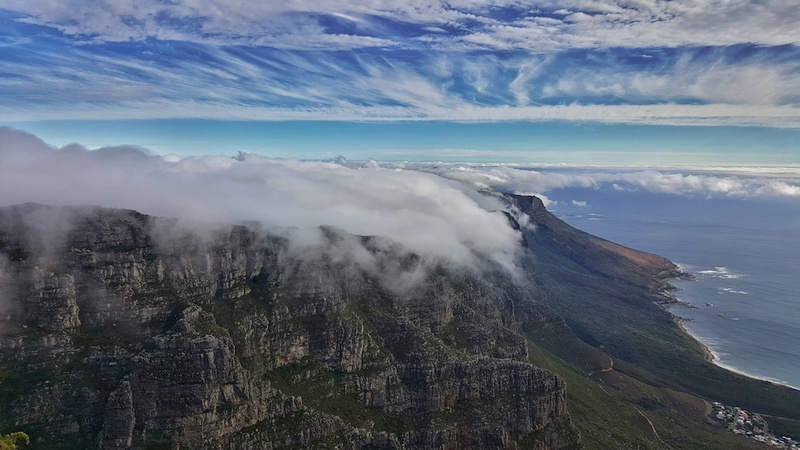 This hike starts at Kirstenbosch Botanical Gardens which requires an entry fee. Access is from Claremont not from Cape Town. 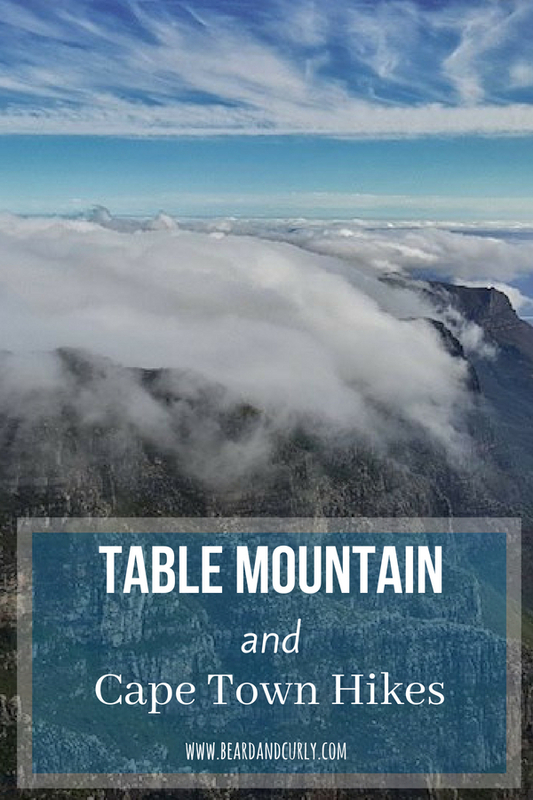 After a stroll through the gardens, this hike leads to the backside of Table Mountain which has amazing views of Devil’s Peak and Lion’s Head. 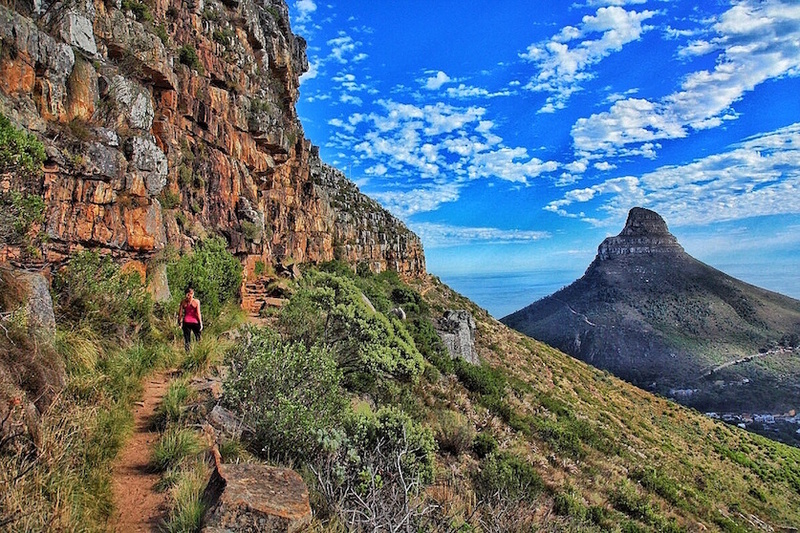 We heard that hiking this trail down Table Mountain does not require a fee. Cost of entry is 55 Rand for adults, 30 Rand for students, and 15 Rand for children aged 6-17. The trail starts before the cable car at Kloof Corner trailhead. After a few minutes follow the sign for India Venster. This is a very fun route up the mountain, and includes a few difficult sections. There are several large rocks to climb over, as well as a section of ladders to aid in climbing. This route is not technical, and makes for a very fun way up Table Mountain. It is necessary to go with a guide or an experienced local on this route. We were lucky to have our friend Andy take us up, as he has hiked it multiple times before. The trail starts from Kloof Corner before the cable car. It veers off early on with a vertical climb assisted by a chain rope. The trail is not marked well and most of the hike requires bouldering. 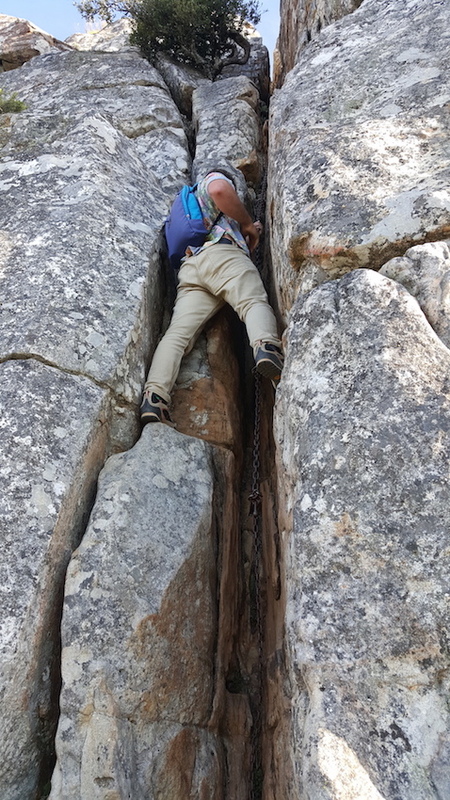 There are three sections requiring a vertically climb up a crack with help of a loose chain. This hike is as technical as it gets without any gear. This trails tops them all. For a preview of our Kloof Corner hike, check out this video of us hiking up. Thankfully we met Johnny Miller, now a friend of ours who is an incredible photographer and has some amazing drone footage. Check out his work @millefotosa or http://www.millefoto.com/. Lion’s Head is an easy, but excellent hike. 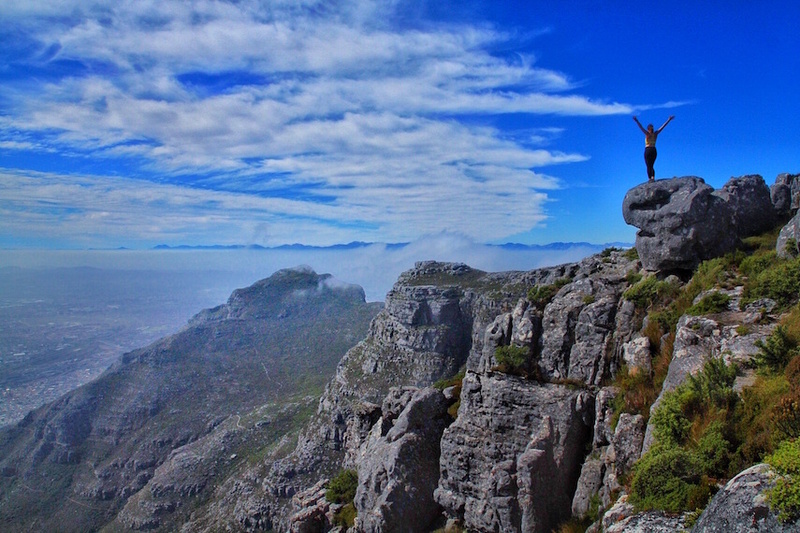 This hike boast views of the entire coast and incredible views of Cape Town and Table Mountain. Because of the unobstructed views of the coast, this is an excellent hike for sunset. Don’t forget a torch for the hike down. Tickets cost 240 Rand round trip or 125 Rand one way per adult and 115 Rand roundtrip or 60 Rand one way for children aged 4-17. Prices are effective until September 2016. Beginning October 2016, prices increase 10-15 Rand for round trip tickets. There are discounts for students and seniors. Abseiling with Abseil Africa is another fun experience. Cost is 795 rand per person, which excludes the cost of the cable car. This 45 minute to one hour experience, abseils off a cliff at 1,000 feet elevation. *Estimated Times are from the bottom of the route to the top rim. Once on top of Table Mountain there are plenty of trails to explore.